New Delhi: Sufism and the revolution that swept across the Arab world recently, is all set to take the limelight at the next edition of the Jaipur Literature festival in January 2012. “Jaipur festival gets the best writers from everywhere. In India we get a varied range of writers we can showcase. Last year Namita Gokhale had tried to focus on Dalit literature. The next edition of the festival will focus on Sufi and Bhakti literature,” says William Dalrymple, one of the directors of the festival. Jalal ad-Din Muammad Rumi who is a 13th century Persian poet and Sufi mystic would be the subject of talks among experts. “We have tried to bring in experts on Sufi and Bhakti literature. There will be renowned Rumi experts like Franklin Lewis attending the festival. Also experts on sufism such as Carl Ernst and Richard M Eaton would be present, ” Dalrymple says. Besides Sufism, the festival would extensively feature discussions on the Arab World which had faced a series of demonstrations and protests against totalitarian regimes earlier this year, with varied range of writers from Middle East pouring in. “We will hold discussions on the ‘Arab Spring’ in the Middle East. Reza Aslan from Iran Raja Shehadeh, a Palestinian lawyer and writer, Isham Matar, a Libyan author and Hanan Al-Shaykh, a Lebanese author will attend these discussions on Middle East,” says Dalrymple. Dalrymple, himself a lover of Sufi music has featured Sufis in his various works. His latest book Nine Lives: In Search of the Sacred in Modern India talks about Sufism. He also recalled his travel to Istanbul and Lahore where he says “Sufi music and great food always seemed to go well together”. The noted Scottish author and historian was recently in the capital in a conversation with author Somnath Batabyal at an event at the Alliance Francaise here. Co-founded in 2005 by Dalrymple and Indian author and publisher Namita Gokhale, the Jaipur Literature Festival has over the years managed to successully build itself as a brand with participation from international authors. Over the years the attendees have included Nobel Laureates J M Coetzee and Orhan Pamuk. It is estimated that over 20,000 people, including foreign visitors turn up every year at the event that is held in the palace outside the walled city. As the literary festival draws near, remarking on his hectic schedule Dalrymple says, “Jaipur festival is in danger of taking too much of my time. The only way to manage everything is to cut back on sleep,” he says. 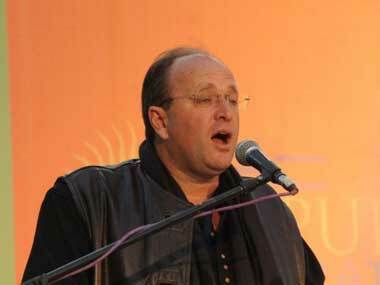 Picture: William Dalrymple. Photo: AFP.